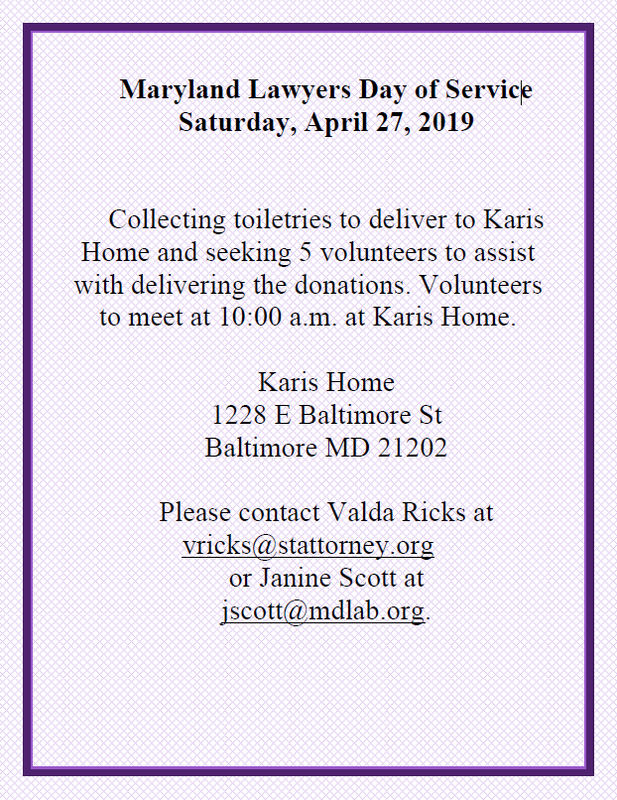 Alliance of Black Women Attorneys of Maryland, Inc.
To be placed on the waiting list for tickets, please send your contact information to abwamaryland@gmail.com. Book Scholarship Application Now Available: Application Deadline Extended to April 12th! Click Here. THE ALLIANCE OF BLACK WOMEN ATTORNEYS OF MARYLAND, INC.
by and for black women. It is our goal to develop a new generation of leaders who will serve the Alliance, the legal profession, and the community. We honor the Alliance's founders and all of those on whose shoulders we stand. We strive for inclusiveness and an opportunity to contribute to the legal profession. We are a diverse group of practitioners, judges, and law students who are committed to the development of African American women in the legal profession. With our events and community service projects, we aim to serve the legal profession and the community. The Alliance of Black Women Attorneys operates to promote its members' professional growth, and to raise awareness of the challenges unique to African American women attorneys, to liaise with members of the Maryland Bar, and to provide community service designed to enhance the public's view of the legal profession. General Membership in the Alliance of Black Women Attorneys is open to any graduate of a law school accredited in the United States. General Members’ Dues are affordable and tiered based on the number of years after a member has graduated from law school. Associate Membership in the Alliance of Black Women Attorneys is open to any full-time or part-time student of any law school accredited in the United States. An Associate Membership with the Alliance is FREE. See the Alliance on Facebook, too! Our Facebook Page keeps you informed of upcoming events.